Nima Ghamsari is CEO and co-founder of Blend, a Silicon Valley technology company propelling consumer lending into the digital age. He leads the company's corporate and product strategy toward the vision of a more frictionless, compliant, and accessible consumer finance ecosystem. Nima in currently focused on expanding the Blend platform both in breadth and depth, bringing a seamless process to more consumers across more of their financial lives. He is also spearheading a number of the company's initiatives around emerging technologies and how to implement them. 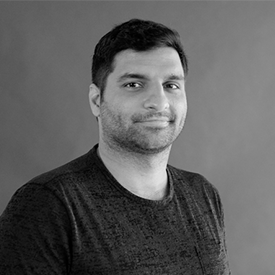 Prior to founding Blend, Nima was one of the first employees of the commercial group at Palantir Technologies. He is a graduate of Stanford University where he earned a B.S. in computer science.